Former US President Barrack Obama has today afternoon arrived in arrived in the Kenya and started his two day visit in the country by paying a courtesy call on President Uhuru Kenyatta. 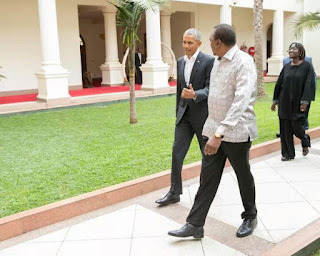 Obama was welcomed in Kenya by President Uhuru Kenyatta who thanked Obama for keeping his promise of visiting the country after his service as US President when he last visited Kenya in 2015. President Kenyatta also congratulated Obama for establishing the Obama Foundation which seeks to empower the youth to become the agents of change that the African continent needs. 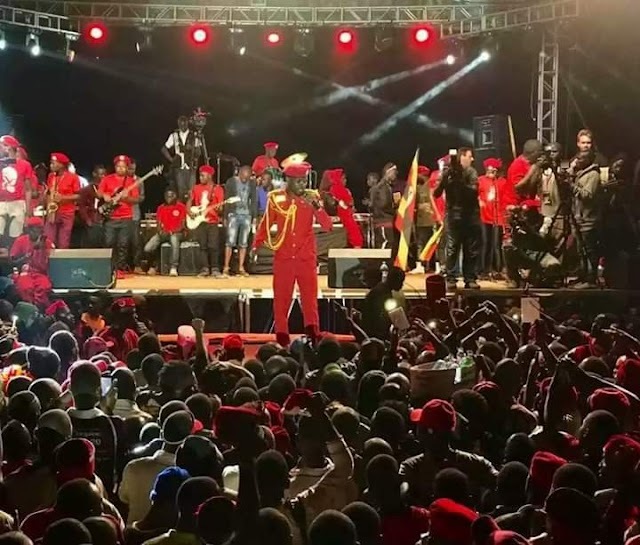 The two leaders agreed that the youth in Africa could become the continent’s most valuable asset if their energy and creativity are effectively harnessed. Obama is in Kenya to inaugurate the Sauti Kuu Foundation’s project which comprises of a Sports Centre and, Resource and Vocational Training Centre run by his half sister Dr. Auma Obama who accompanied him. President Kenyatta who was joined by Deputy President William Ruto and other senior government officials assured the former US leader that he can count on the support of all African leaders to scale-up youth programs under his Foundation. "It's always a great pleasure meeting with one of Kenya’s most famous sons, President Barack Obama ". NASA said later on. "Auma Obama for the commendable job in empowering the youth through Sauti Kuu Foundation. I join the rest of the nation in saying welcome back home Barack!" Raila concluded his statement. After inaugurating the Sauti Kuu Foundation and visiting his Ancestral home in Alego Nyang’oma of Siaya County, b Obama heads to South Africa where he is expected to deliver the 16th Nelson Mandela Annual Lecture in Johannesburg.